Why did Merseytravel pay for flights to Tokyo costing £4,357.92? 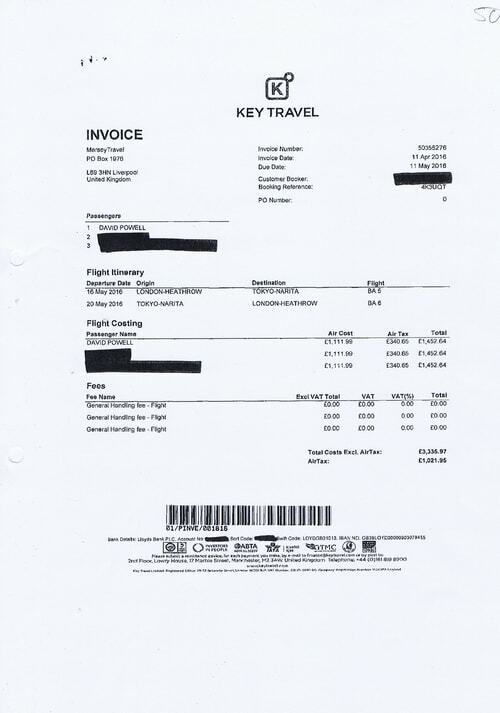 Invoices exclusively published on this blog show that Merseytravel spent £4,357.92 on British Airways return flights from London (Heathrow) to Tokyo (Narita) travelling out on the 16th May 2016 and returning on the 20th May 2016. One of the three passengers was senior manager David Powell and the costs were charged to the Rolling Stock Programme. 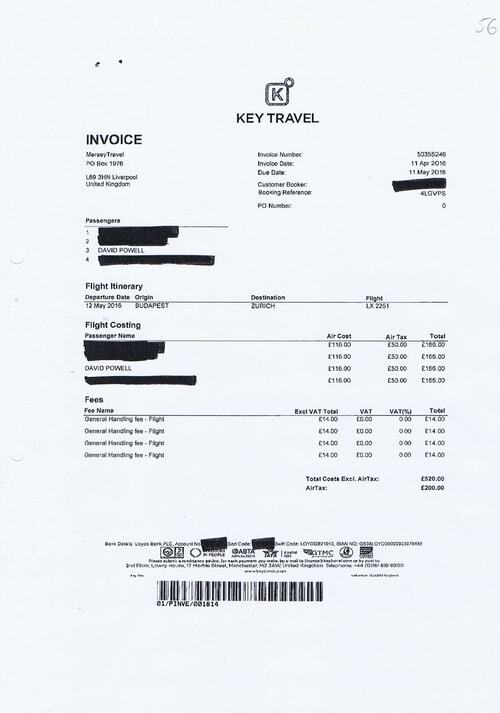 Merseytravel also paid for flights for four people (again including David Powell) from Budapest to Zurich costing a total of £720. This was for outward travel on the 12th May 2016 and the costs were once again charged to the Rolling Stock Programme. 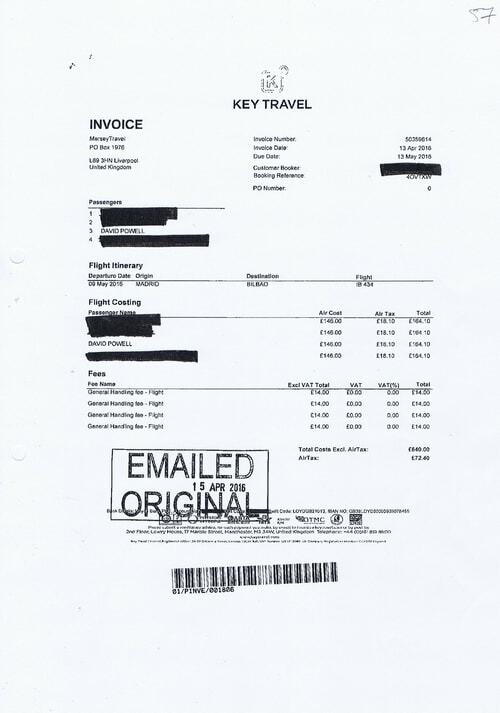 The Rolling Stock Programme also paid for flights for four passengers (including David Powell) that cost £712.40 from Madrid to Bilbao leaving on the 9th May 2016. Merseytravel also paid an invoice for rail fares costing a total of £706.78 (which was charged to the Rolling Stock Programme). Some of these journeys were associated with the flights mentioned earlier. 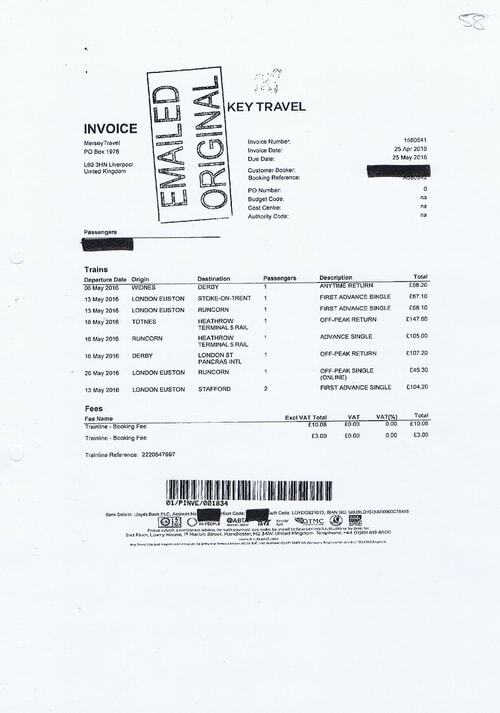 Merseytravel also paid an invoice for train travel for £683.38. This was for two return trips by train from Macclesfield to London travelling on the 15th and 17th March 2016 along with two all day Travelcards for London zones. The passenger on the invoice was listed as David Brown. Curiously David Brown (Merseytravel’s former Chief Executive) left Merseytravel in November 2015, so why was an invoice to Merseytravel submitted for train journeys in March 2016 with him as a passenger? 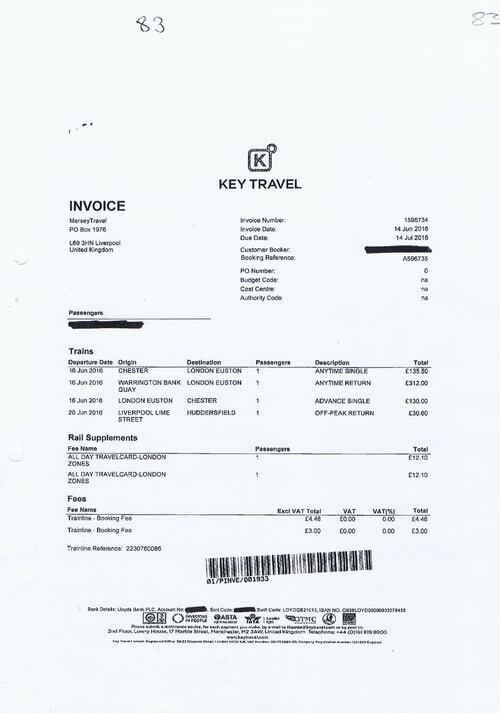 Key Travel also charged Merseytravel for train journeys that were charged to the Mersey Tunnels Police account (you can see the details in the invoice above). « Will two overlooked covenants for “enjoyment of light” prevent a fire station at Saughall Massie from happening? Talking of Misery Travel where workers are scared to speak up. Surely “Ankles” has now used up his 29 lives? He is starting to make “Crabapple” look like a good bloke and AdderleyDadderleyDooLally look…just slightly abnormal. Thanks for your comment James, well put it this way, it’s very rare for a sitting councillor not to get reselected as a candidate (roughly every four years) by their political party if that councillor wants to carry on. Steve Niblock is the only exception to that rule in that particular political party I can think of in recent times. Talking of Misery Travel where the employees are scared to speak up. Talking of which “Ankles” must have use up his 29 lives by now surely? See my comment above for the answer.